Elvis Martini is in deep trouble. He’s in big debt to bookies and his daughter’s school and his building is about to be foreclosed on. He finds cash in an evicted tenant’s apartment and it briefly keeps the wolves at bay, but it brings out an even bigger wolf. His daughter is kidnapped and Elvis has 24 hours to come up with $25K. Cash only. It might not be so horrible and disgusting as “A Serbian Film” (I refuse to watch that one because of the immoralities appearing in it), but because of the finale it might deserve the title “An Albanian Film”. Not that this part was so groundbreaking horrible, but it was intense anyway. This indie crime shows the self-destructive process of an accumulating debt and the eternal struggle to repay it. That’s something Elvis Martini is facing in everyday life. His first name is somewhat unfortunate in this case, because I’m sure his legendary namesake didn’t have that problem. 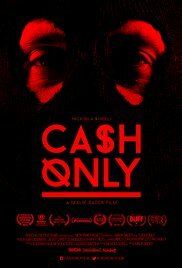 You can’t say “Cash Only” is very original, but the movie is painfully realistic and pure. Elvis Martini (Nickola Shreli) isn’t exactly a choirboy either. In the past he was found guilty of insurance fraud after setting his house on fire, with a prison sentence as a result (not to mention an even bigger personal loss). Gambling probably raised the debt as well. The basement area of the building where he rents apartments, is used by some weird guy who’s growing lots of marijuana there. And in addition, he also replaces additional rental payments by sleeping with the girlfriend of his best friend. But despite these shortcomings, I felt sorry for this landlord who’s fighting against loosing everything. In a desperate way he tries to survive and raise his daughter in a decent manner. The way he’s deceived by his tenants, shows that he’s not as ruthless. Only kicking out a callgirl and confiscating her possessions, proved to be a gross mistake. “Cash only” is rough and gray. A sketch of an American slum with an Albanian population seeking to pursue the American dream. Afterwards they come to the conclusion that it’s just a daily struggle where the law of the strongest rules. Albanians aren’t the most peaceful citizens but value the concepts of honor and keeping a promise. Something Elvis also experiences. However it’s sometimes the opposite. Nobody really respects him. It’s as if everyone tries to take advantage of other people’s desperate situation. That this socially critical picture was replaced subsequently by a violent kidnapping scenario, surprised me somewhat. A grim and excessive ending. 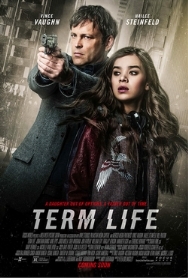 Nickola Shreli (who also co-wrote this film) was extremely convincing. Both as the pitiful landlord, as the energetic and determined father. All in all a laudable role. The other supporting roles are functional but not particularly impressive. Malik Bader played a guest role as the crazy Kush who dwelt in higher spheres in the basement of Elvis. Obviously, this was the most amusing part. Stivi Paskoski took care of the most psychotic role. Despite the cliché elements from other crime films, the shocking (but not too gory) denouement left a reasonable impression.